What can World History teach us about Cooperating against Global Climate Challenge? It is ironic, perhaps, but writing a world history, which involves telling hundreds of stories, makes one realize how few truly significant stories there are in that history. Most significant among these is not the history of Europe, or the history of science, or warfare, or the rise of the state, or of women. It is the story of the human race. And that has one relatively simple narrative arc. I’ll briefly outline the latest stage in this below. Francis Fukuyama argued that the great shift that prompted him to— – rather grandly— -conceptualize the “End of History” was political; that is to say, the resolution of the Cold War in favor of Liberal Democracy, and not Communism. History continued notwithstanding the publication of his book, as the anticipated utopia failed to materialize. But if we take the notion of the End of History to refer not to the end of political and social events, but to a major sea change, possibly even challenging the entire context of “history” as we have known it, there may be a candidate for this definition (which prompts me to equally grandly argue for it). That candidate is the environmental crisis in which we find ourselves. Combined with globalization, global climate change has forced and will continue to force us—the human race—to face our commonalities, and minimize our differences, and it has been those differences which have provided the content of history to-date, as Persian went up against Mongol, Roman against German, Inca against Spaniard, Briton against French, etc., ad infinitum. The world has experienced climate change before—such as the Medieval Warming Period, or the Little Ice Age. The Plague of the fourteenth century may have been a consequence of drying climate, which forced disease-carrying rodents out of Inner Asia into more populated areas. The Norse of Greenland may have been victims not only of their own over-farming practices, but of the Little Ice Age that made their short growing season even shorter and filled their communication channels to the outside world with impassable ice. 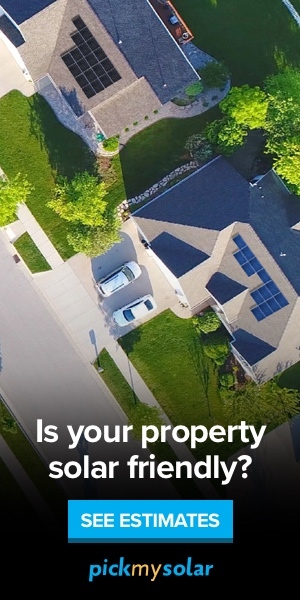 This time around, however, there are two differentiating factors, namely population and migration. The vastly larger world population and its massively increased ability to move, mean that local disasters have global consequences as refugees migrate, and international trade is disrupted. And despite a minority of skeptics who believe otherwise, climate change is human-induced, leading some climate scientists to propose the idea that we are in a new geologic era, the Anthropocene, as opposed to the Holocene, that is to say the “Human-generated” era. If this is to be taken seriously, that in itself is cause to consider the End of History thesis, as all of human history to-date has taken place in the Holocene, for the simple reason that the climate (post Ice-Age) became amenable to population growth, which contributed to the development of agriculture, which led to what has traditionally been called “civilization,” and with the development of writing we emerged into t he era of History. History to date has been a story of polities becoming larger—through warfare (because who gives up sovereignty without a fight?). From Herodotus and Thucydides, via Sima Qiam and Gibbon, (not to mention nameless oral historians who have kept alive the memories of brave warriors and stunning victories over enemies) the world’s historians have told these unerringly similar stories, as proud king or emperor smote his enemies and made them cower…thus Egypt, Mesopotamia, China, Mesoamerica, Africa, India, Europe, Polynesia, etc. Like blind people in a room, feeling different parts of an elephant, all the world’s historians variously describing states and regions have been telling parts of the human story. In the opening days of the Anthropocene are we not arriving at a point at which these discrete stories cannot but be strung together by readers who must stand back and look at the big picture—removing their blinders and seeing the elephant whole? And is world gove rnment the conclusion of this process, as decision-making becomes increasingly global? Have we reached a point in history in which our cultural differences are beginning to play second fiddle to a global culture driven by consumer economics and global communications? “I am by heritage a Jew,” said Albert Einstein, “by citizenship a Swiss, and by makeup a human being, and only a human being, without any special attachment to any state or national entity whatsoever.” Einstein, among many others, was passionate about the need for world government, in the wake of World War Two and the Holocaust. As such he tapped into a long debate going back some centuries, to Hobbes, Rousseau and Kant, among others, looking for a solution to the world’s endemic wars. But now more than at any time in history, as humanity faces threats to its biosphere, and global institutions (however flawed) exist to attempt to manage them, the particular disagreements between societies, nations, ethnicities and races, seem increasingly irrelevant and antiquated (not to belittle the differences between say Palestinians and Israelis, or Islamists and secularists in Syria, etc, etc,…). The dawning cultural and political unity, which will by necessity play an ever-larger role in human affairs, will draw upon humanity’s basic commonalities for its sustenance, thus representing an epochal change as great as those of the move from the Paleolithic to the Neolithic, or from the agrarian age to the industrial. It remains to be seen whether these commonalities will be sufficient to avoid extinction; in order to do so humanity will have to recognize them and perceive common interests instead of relying on our other characteristic, aggressive competition. 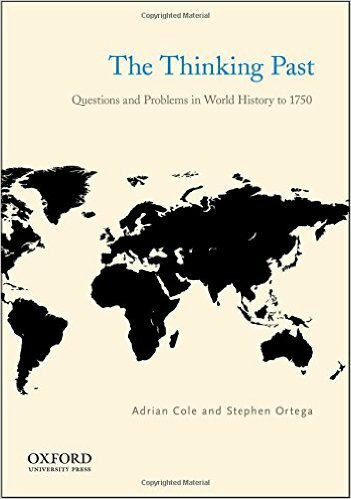 The Thinking Past: Questions and Problems in World History to 1750 (Oxford: Oxford University Press, 2014).